March is the month of “bees” as in Quilting Bees. This month’s presentation will be especially beneficial for new guild members who want to connect and become more a part of our quilting community while also being informative for those of us who have been members for several years. 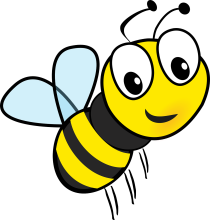 Joan Lowder (our Bee Keeper) along with the leads of our guild’s various Bees will talk about how their Bees are organized, what type of projects they work on, when and where they meet, and let us know if they currently have room for new members. They will also answer any questions you may have regarding their groups so start writing them down. The social will start at 6:30pm, and the program will begin at 7:00pm.